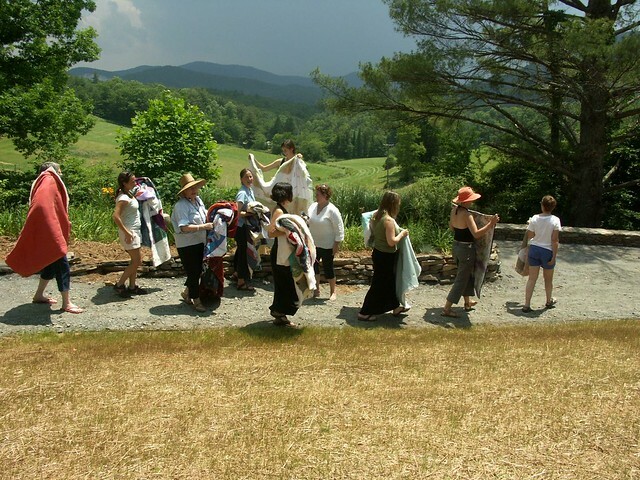 I will be teaching an improvisational quilt making workshop this summer at Penland School of Craft. Penland is located in the Smoky Mountains in western North Carolina. The setting is amazing. Imagine two weeks of nothing but peace, relaxation, good food, beauty, community, creative exploration, and quilt making. Tracking, sharing, and exploring the rhythm of attention is the goal of this workshop for educators and others interested in flow and the creative process. Mornings will be devoted to exploring—through group dialogue, chanting, stitching, writing, and drawing—topics on listening and engagement. We will move from theory into practice each afternoon by making improvised quilts without predetermined patterns. All skill levels. For more information or to register visit Penland.org. This is going to be a fabulous workshop. We will approach the process of improvisation from many different angles. 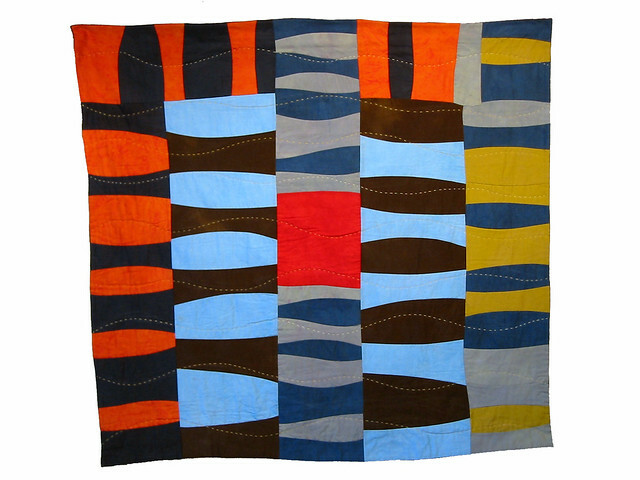 Not only will you learn basic skills for improvisational piecework, you will learn exercises for staying present and accessing your creative flow, in order to make truly improvised quilts that reflect your unique rhythm of attention. I believe that true improvisation is about self-discovery, not about making a wonky quilt with out rulers. I hope you will join me this summer at Penland! And if you can't but wish you could, bring me to your guild or community to teach. I love to travel! What is Improv Quilting? If you've been pondering the same question, stay tuned and join the conversation. Next week I begin posting a new series on Improv Mondays, to explore issues, techniques, and approaches to improvisation in quilt making.